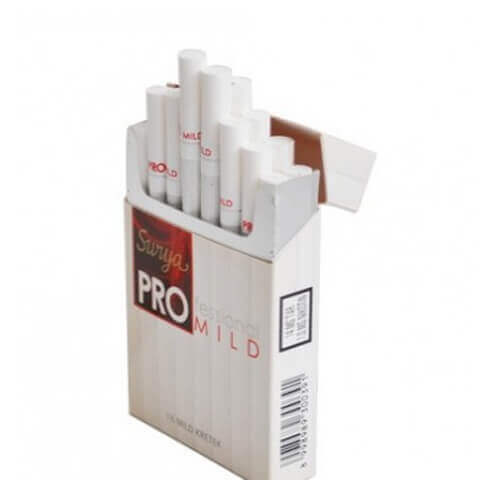 Surya Pro Mild is a national clove cigarette brand that has a low content of tar and nicotine. 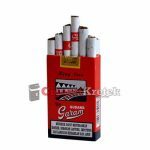 Two years after its launch in 2009, Gudang Garam successfully positioned itself in the top five brands clove cigarette with lower content category Tar and Nicotine. 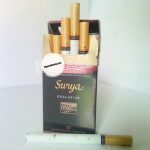 Gudang Garam Surya Pro Mild, clove cigarette which gives minimal effect on maximal pleasure sensation. 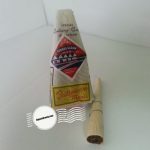 These are mild but the clove flavour is still quite strong, very nice.